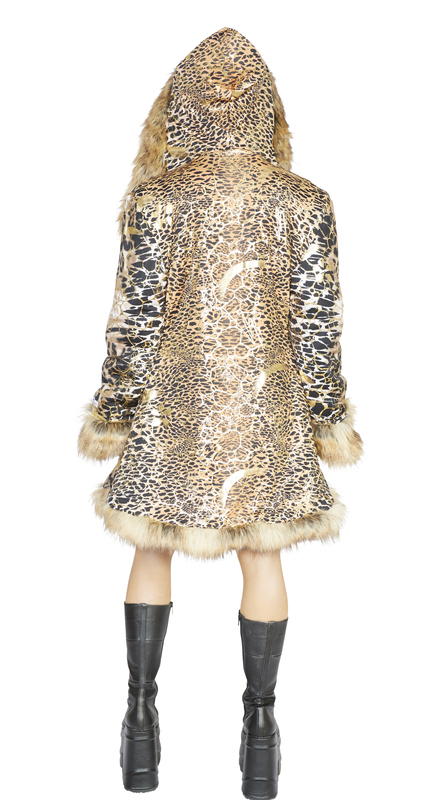 Mama Africa faux fur coat – stay true to your nature. Mama Africa faux fur coat has big wizard-like hood and a small collar in the front when all hooks are closed. This coats is fitted and has Royal flared cut.